Emma can be enjoyed as a charming love story, a detective story, and a comic and lively picture of English life 200 years ago. Austen's beautiful, clever, wilful but fallible heroine Emma Woodhouse believes she knows best. Perfectly content with her life she sees no need for either love or marriage, yet nothing pleases her more than meddling in the romantic lives of others. But when she fails to heed the warnings of her good friend Mr. Knightley and schemes to arrange a suitable match for her protégée, Harriet Smith, her carefully laid plans soon unravel and have consequences that she never expected. She discovers that she understands the feelings of others as little as she does her own heart. With a cast of unforgettable characters, it is a lively comedy of manners that explores the concerns of genteel women living in Regency times. Jane Austen was an English writer known primarily for her six major novels which focused on the British landed gentry at the end of the 18th century. Her plots often explore women's dependence on marriage in the pursuit of favourable social standing and economic security. Jenny Agutter began her acting career as a child in 1964's East of Sudan and is well known for appearing in three adaptations of The Railway Children. She starred in the critically acclaimed 1971 film Walkabout as well as receiving a string of Hollywood roles. She won an Emmy for her role in The Snow Goose (1971), as well as a BAFTA for her role in Equus (1997). More recently she has appeared in several television dramas, including Spooks (2002-2003), and Call the Midwife since 2012. She has performed in numerous theatre productions, including roles with the National Theatre and the Royal Shakespeare Company. She has also narrated audiobooks like Dodie Smith’s I Capture the Castle, and featured in the Doctor Who audio dramas inThe Bride of Peladon, and The Minister of Chance. In 2012 she was appointed OBE for her charity work. Jenny Agutter gives one of the best readings I've heard here. This is a wonderful, witty, and wise rendering of the novel. Her characterizations are subtle and smart; it's clear she's given such care and attention to the novel and to Austen's world. Her skill in delivering the meaning and emotion of the words makes this such a delightful journey. Loved it! This age old favourite by Jane Austin is always pleasing. The characters are well drawn and interesting. The main character, Emma may be, " handsome, clever and rich" and have an exceptionally pleasant lot in life but she has some important lessons to learn. Humility and being less judgmental of those around her are two for a start and then there is her profound belief that she is a matchmaker without exception! Many of her views on those she believes beneath her station or attention might be held to be unacceptable today. 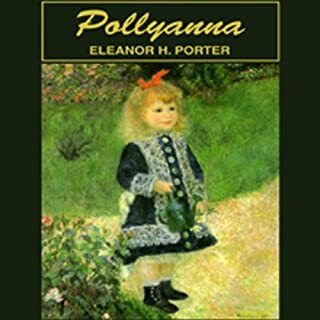 However, at the time the book was written her views would have been considered quite correct and "proper" for a young lady born in her circumstances. For all her failings it must be said that she has a good heart and luckily for her she has Mr Knightly as her conscience and guardian angel so all ends happily. I like Jenny Agguter but in this instance the speed at which she read the book was disappointing and had I not known the story so well I might have had to re-listen in some sections. Hence the 4 stars for performance. I have read all of Ms. Austen's books many times. 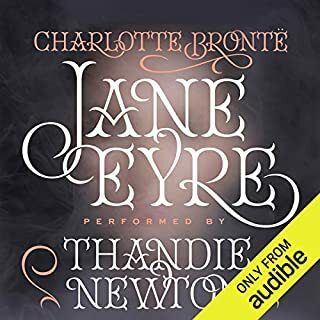 Recently listened to Pride and Prejudice and thought it was great - allowed me to enjoy the genius of her writing in a whole new way. So looked forward to this version of Emma. What a disappointment. Voice is shrill, story telling lacks nuance and overall is read too quickly. I won't finish it. What a disappointment! I was all set to enjoy Emma, really my first non-movie Austen, when it became apparent Jenny Agutter, an actress of some experience, has only one voice, her own. No way to even tell between male and female. Why do recording companies allow this? I greatly enjoyed the book and the narration. This is only the fourth Jane Austen novel that I have listened to/read and found it very different than the others. It is much more biting in its satire of the life, manners, and prejudices of the English country gentry. Unlike the other novels that I am familiar with- Pride and Prejudice, Sense and Sensibility, and Persuasion - the main character is not particularly likable as are almost all of her acquaintances except for Mr. Knightley and Jane Fairfax. I especially liked the fact that by the author focusing on describing the interactions of the many characters, I could not determine the final outcome of the plot until almost the end of the novel. The narrator was terrific. 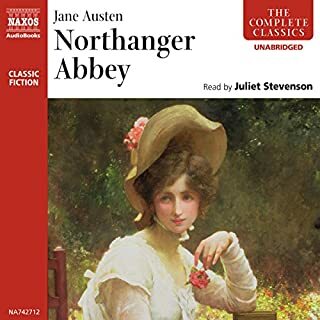 It is obvious that Ms. Agutter is a very experienced and talented actress; she was able to bring all of the novel's many characters to life, each with their own distinctive personality.I recommend this Audible recording most highly. 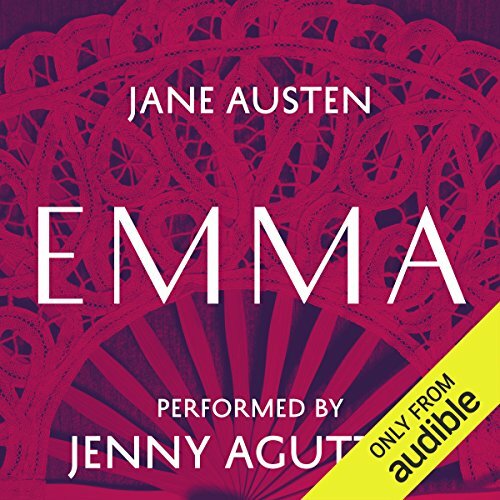 Listening to this on audio was only my first time reading Emma and my third time reading a book by Jane Austen, and it did not disappoint. I just love how Austen makes me feel I am being transported into another time in history and how lifelike and fun her characters and stories can be. 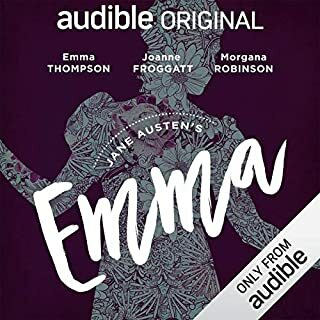 It is not necessarily my favorite Austen novel, but Emma's antics trying to be a matchmaker were very enjoyable, and I will definitely read it again someday. the narrator was lovely. she used different voices to distinguish dialogue. if you love Jane Austen, you will love this. Agutter is a reader worthy of Austen. She reads clearly and with intelligence. Choose this version! I thoroughly enjoyed listening to this beloved story, and Jenny Agutter did a phenomenal job portraying all of the characters. I even found myself looking forward to the scenes with the less likeable individuals because her reading was so well done. Jenny Agutter does a superb job as narrator. She "does" each character's voice to just the degree needed for the listener to discern them without the voices being grating or annoying. Thoroughly enjoyed it. 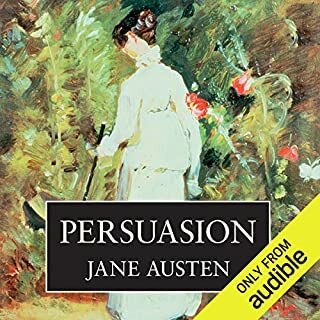 I've known the novel for at least 30 years, and though it is not my favourite Jane Austen, I have enjoyed reading it and enjoyed the dramatisations of it, and was looking forward to the listening to it being read aloud. Unfortunately Jenny Agutter goes through it as if she isn't really interested in it, like she's waiting for the bell to release her from the classroom. She speaks quite fast and does not use her voice much to characterise the different characters. She is a fine actress, but it seems that the combination of Jane Austen and Jenny Agutter does not really work. A great pity. I would recommend you to try another recording of the book. They are better. I love jane austen's Emma and Jenny Agutter. The two together don't work for me. It takes a long while for Jenny Agutter to get into the characters, and for the first part of the book its difficult to work out who is speaking. By the end she has mastered it - but her Mr Knightly is dull and boorish whilst Emma is silly and snobbish. I struggled through the last 2 hours out of duty rather than enjoyment. The saving grace are Miss Bates and Mrs Elton. They are both done excellently. The chapters in the recording do not in any way match the actual chapters of the book, which makes this recording exceptionally hard to synchronise with a text you happen to be studying. I am a great admirer of Jenny Agutter as an actor, and get great pleasure from listening to her warm, friendly English posh voice. However, there is an unsettling inaccuracy of diction, a failure to hit terminal 'T's that make this a lesser reading of Austen than Juliet Stephenson's, which is faultless. This is a great listen. Narration very good, with a good distinction between characters. Story is a classic and a book one can always keep going back to time and time again. if the quality of the recording had been up to standard it would have been excellent. Jenny Agutter is one of my favourite narrators but the recording speed was very fast at times and this was intrusive and spoilt the narration .It was a shame . What other book might you compare Emma to, and why? Mansfield Park read by Juliet Stevenson was a much better experience bringing a loved classic to life. Have you listened to any of Jenny Agutter’s other performances? How does this one compare? I loved Music and Silence by Rose Tremain..beautifully read , haunting…A cold weather read though! oh , and Nancy Mitford's Love in a cold climate….a wonderful period feel to the narration. If you could play editor, what scene or scenes would you have cut from Emma? gives speed reading a whole new meaning. I've seen the film, heard various radios plays and watched umpteen TV / Film homages to Emma so though I'd listen to the book, via the Daily Deals. With the language concentration is upmost in this book, and a good knowledge of the story line i.e. I knew what was going to happen, so when I slipped in concentration I soon picked up what was happen. I enjoyed this book, but would have struggled if I hadn't known the plot, so beware on that front. I love Austen's work although nothing tops Darcy and Elizabeth. In this reading, the characters in Emma never quite come alive for me. In fact, I generally find them all quite irritating. In hindsight, I really should have sat down with the book myself. I'd expect they would have had a very different "voice" and perhaps they would have had more appeal because of it. I think I'd enjoy the dramatization, I remember quite enjoying the BBC dramatization in 2009. This book however, not so much. Can't fault Jenny Agutter's rendition: she gets the feel, tone and characterisation just right. Very pleased with this version, highly recommended.